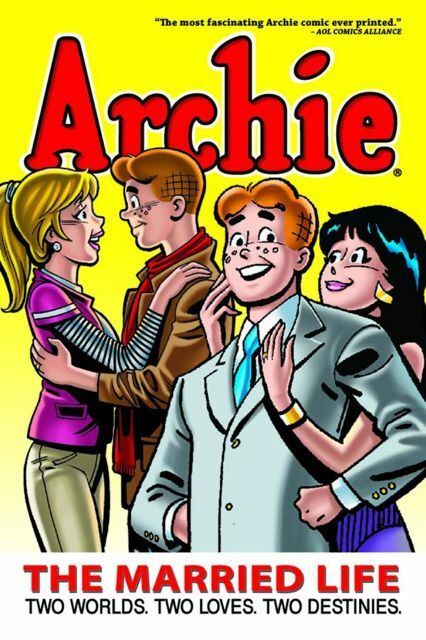 This giant graphic novel collects stories from Life with Archie Magazine #1-6, the most critically acclaimed storyline in Archie Comics history, following two separate paths for Archie as a newlywed - if he had married Betty Cooper, or Veronica Lodge. Archie Marries Betty features the newlyweds as they move to the city to pursue their dreams and are faced with seemingly endless disasters engineered by a sinister figure from the past, and also includes the moving story of the death of their former teacher Miss Grundy. Archie Marries Veronica showcases the newlywed couple struggling to balance business and conscience while trying to keep Mr. Lodge's sensibilities from destroying their ideals, their hometown - and their marriage. Find out what happens to all of your favorite Riverdale characters! Based on an outline by Emmy Award-winning Batman producer Michael Uslan, written by comic book veteran Paul Kupperberg, and featuring the fluid and lush artwork of longtime Batman artist, Norm Breyfogle!